LOS ANGELES (Reuters) – Golden State’s Big Three combined for 85 points and the visiting Warriors broke their two-game losing streak with a 128-111 win over the Atlanta Hawks on Monday. Stephen Curry scored 30, followed by Kevin Duran (28) and Klay Thompson (27) as Golden State (16-9) improved to 5-7 on the road. Curry, playing in his second game since missing 11 games with an ankle injury, made six 3-pointers and had three assists. Durant was 10-for-13 from the floor and added five rebounds and eight assists. Thompson had three treys and added eight rebounds. Atlanta (5-19) lost its third straight game as its home record dropped to 3-8. The Hawks were led by John Collins with 24 points, shooting 11-for-14, and 11 rebounds, and rookie Trae Young with 20 points and three assists. Taurean Prince added 14 for the Hawks. The Warriors jumped out to a 34-17 lead in the first quarter and easily kept the young Hawks at bay. 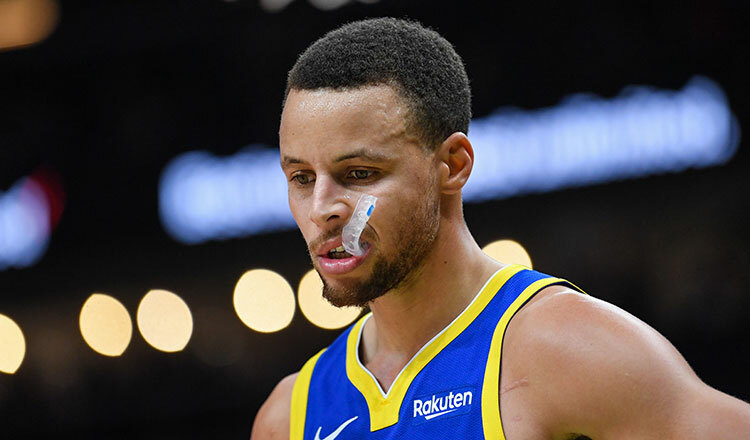 Golden State led by as many as 24 points, although Atlanta trimmed the lead to seven points in the second quarter before the Warriors regained control and led 61-47 at halftime. The Warriors swept both meetings between the clubs this season. Golden State won 110-103 when it hosted the Hawks on Nov. 13. The Warriors have won their last nine and 14 of their last 15 games against Atlanta. The Hawks haven’t beaten the Warriors since Feb. 8, 2015. Neither team was at full strength. Golden State’s Draymond Green (right toe sprain) and Alfonzo McKinnie (left foot soreness) missed their ninth straight games. Atlanta got backup point guard Jeremy Lin back from a left ankle sprain, but he played only 15 minutes and his streak of games with a 3-point basket ended at 13 straight. Lin scored 10 points and missed the only 3-point shot he attempted.